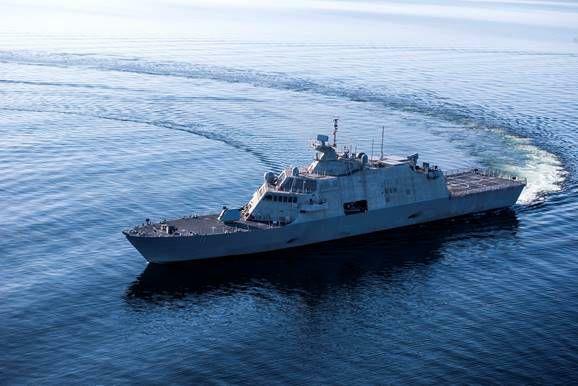 In just two months, a combat vessel named after Sioux City will be commissioned a Navy warship, ready to deploy around the world. The new Vietnam War documentary series on PBS, directed by Ken Burns and Lynn Novik, is reopening a national conversation about the long, controversial conflict. 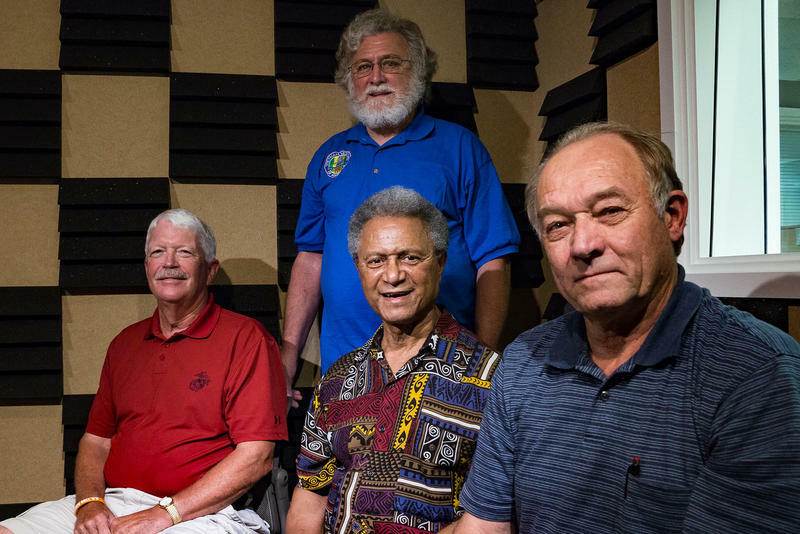 On this edition of River to River, Ben Kieffer talks with Iowa veterans of Vietnam to get their reactions to the series and discuss the relevance it may have today, more than 40 years after the fall of Saigon. 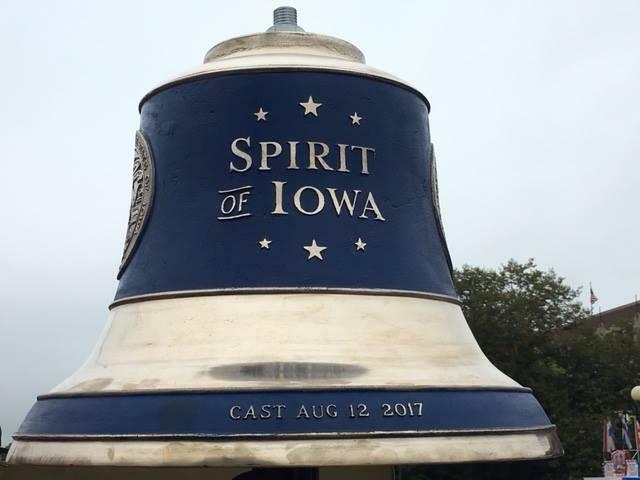 Last month at the Iowa State Fair, a two-foot-tall bell was forged to honor past, present, and future members of the military. Some of the metal used to create the Spirit of Iowa Tribute Bell came from commemorative coins, service dog tags, and other artifacts from members of the military and their families. Next month, the bell begins traveling to cities throughout the state. Executive director for the Iowa Department of Veterans Affairs Jodi Tymeson says the bell will be lent to anyone who wants to display it to honor Iowa veterans. In a series of tweets Wednesday morning, President Trump said transgender people will not be allowed to serve in the U.S. military. He writes the presence of transgender people in the military would cause "tremendous medical costs and disruption." 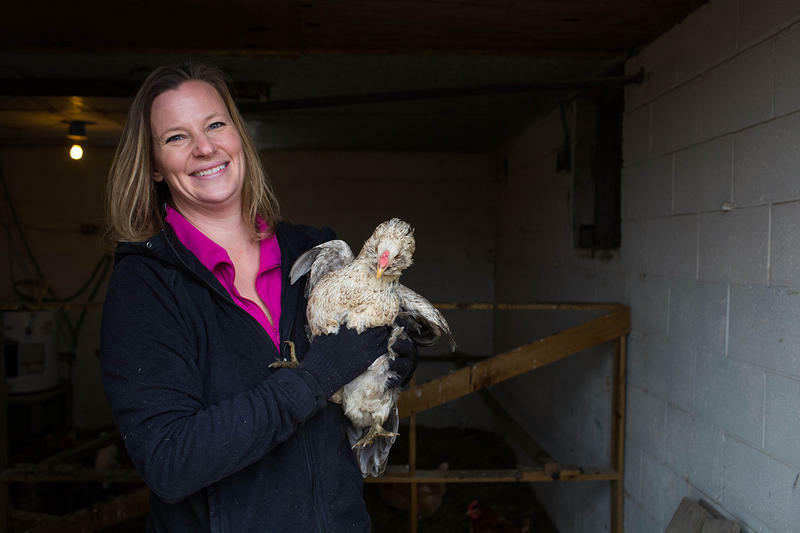 Returning from three combat tours in Iraq, native Iowan Alex Sutton forges a new identity as a farmer, hatching chicks and raising goats on 43 acres in North Carolina. While he finds at least partial relief through farming, he cannot shake the lingering traumas of war. His life after war and subsequent struggles with PTSD are documented by director/cinematographer Alix Blair in her documentary Farmer/Veteran: A Combat Veteran's Fragile Struggle to Overcome Trauma and Transition to Life as a Farmer. Sometimes the transition from being a solider to being a civilian is more difficult than any battlefield assignment. Readjustment sometimes means trouble finding a job and in some cases no permanent place to live. 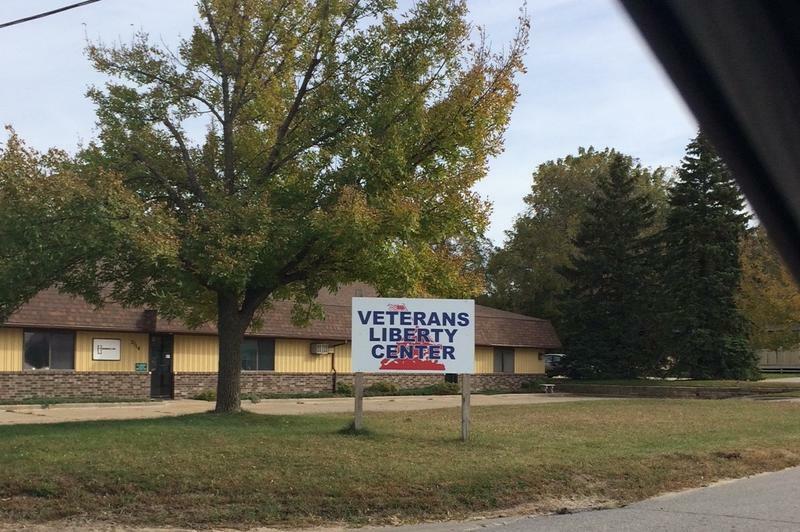 There will soon be more options in northeast Iowa for veterans who have completed their service and need a safe place to live while they contemplate what’s next. 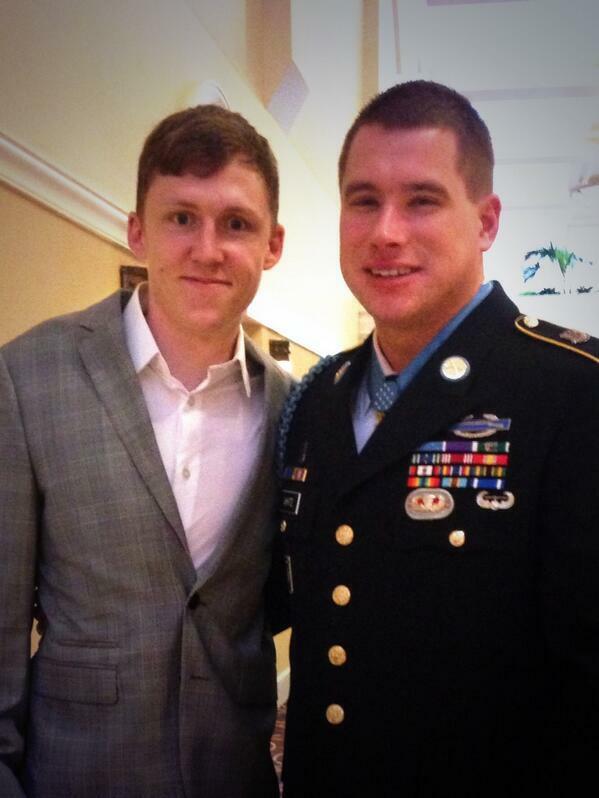 From the time he was discharged from the US Army back in 1990, life has been struggle for 46 year old Jeff Skinner. 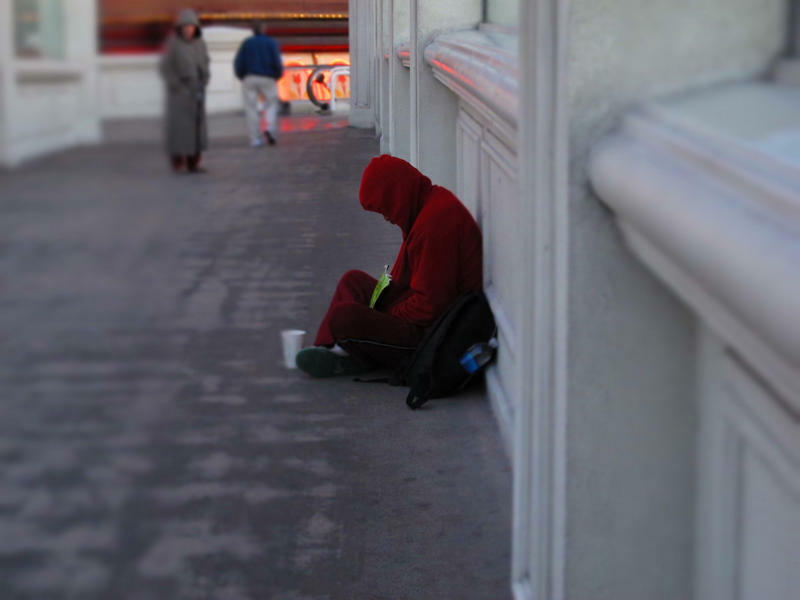 In 2009, the U.S. Department of Veterans Affairs announced an initiative to end veteran homelessness. On this edition of River to River, host Ben Kieffer talks with IowaWatch.org reporter Thomas Nelson about his latest reporting on homelessness within Iowa's veteran population; Mark Brown, an outreach veterans advocate for Willis Dady Prevention and Shelter; and an Iowa veteran who used to be homeless. 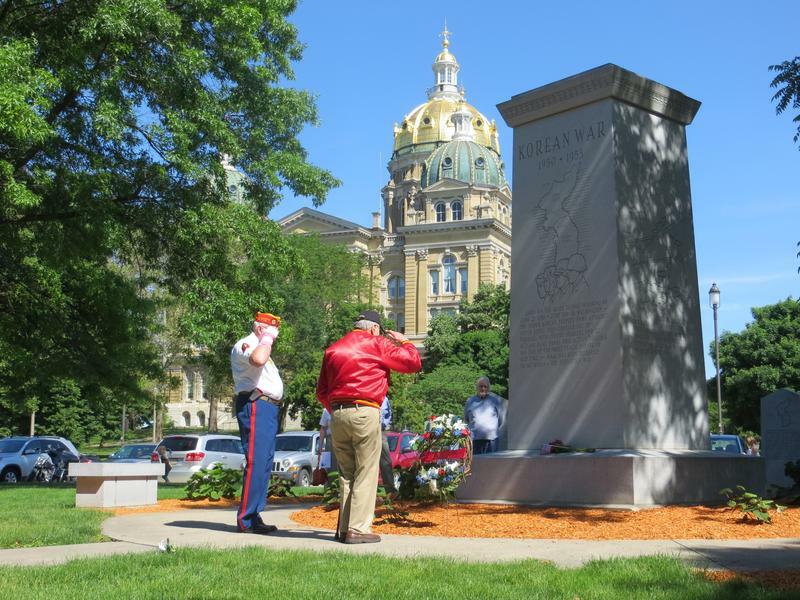 Iowa remembered its war dead across the state today. On the south side of the state capitol this morning, about 100 people gathered for a ceremony that had the familiar rituals of military observances: a firing salute, the playing of taps, and the laying of wreaths in front of war memorials. Daniel Gannon of Ankeny was a Marine Corps platoon leader in Vietnam. He says it’s important for Americans – especially veterans – to take time to talk about the experience of war. 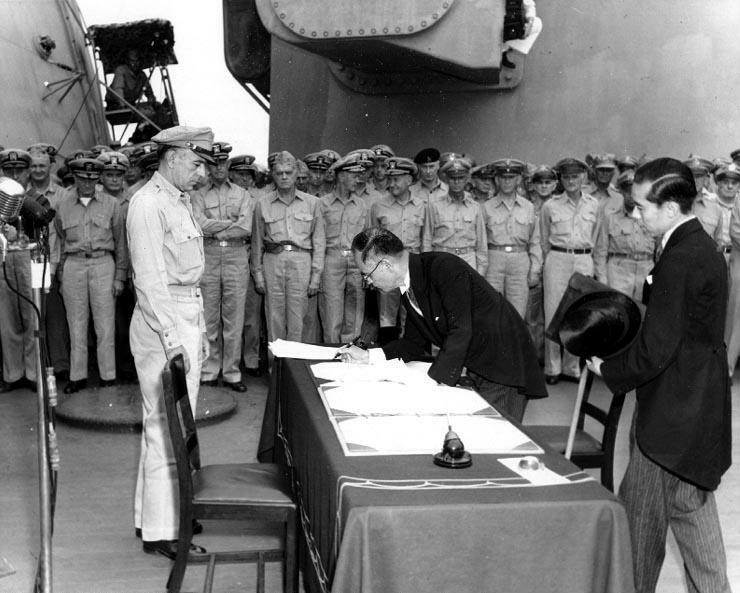 The Japanese surrender in WWII was official with the signing of the Instrument of Surrender on September 2, 1945. 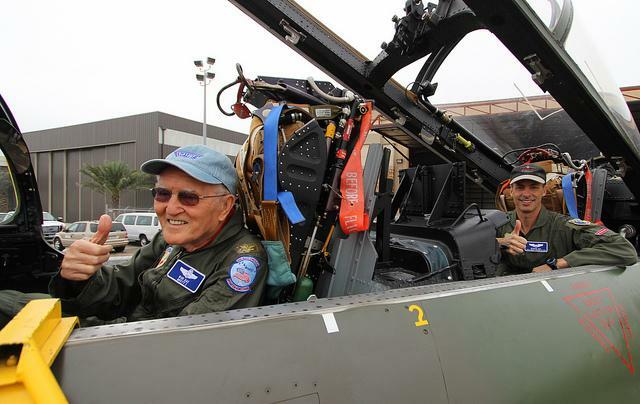 But for Jerry Yellin, the war ended with his last combat mission on August 14th, the same day his wing man, 19-year-old Phil Schlamberg from Brooklyn New York disappeared over Japan. 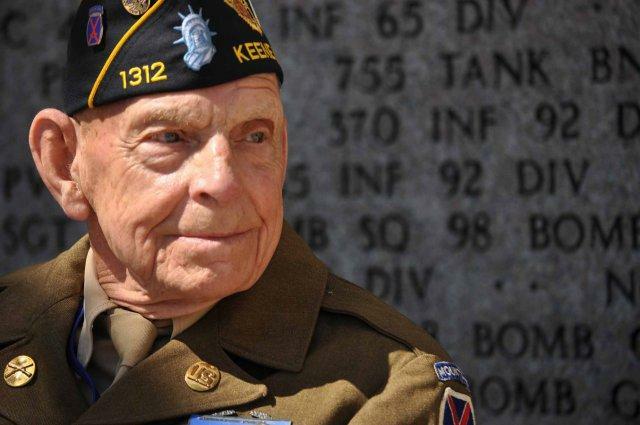 Yellin, who now lives in Fairfield was a Captain in the Army Air Corps and a fighter pilot who flew a P-51. He says he was never wounded and claims he never thought he would die, but he's still haunted by the deaths of every one of the 16 men lost from his squadron of 32. 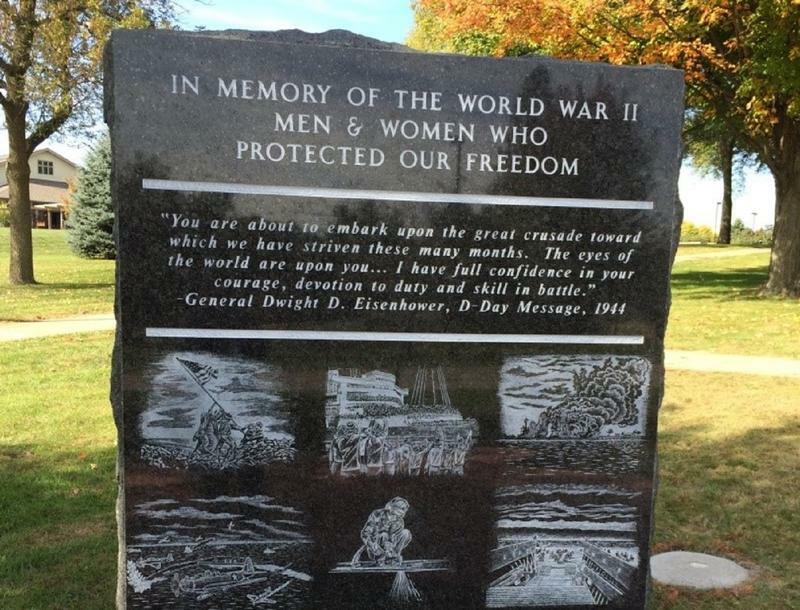 Officials at the Iowa Veterans Home in Marshalltown say a new World War II memorial now graces the grounds of the institution, following the earlier placement of monuments for other wars. The memorial was dedicated last month, less than a year after a Des Moines service group took on the project. Commandante Jodi Tymeson says a veteran at the home requested the memorial. Jim Wagner likes to work on old cars; that’s how it all started. 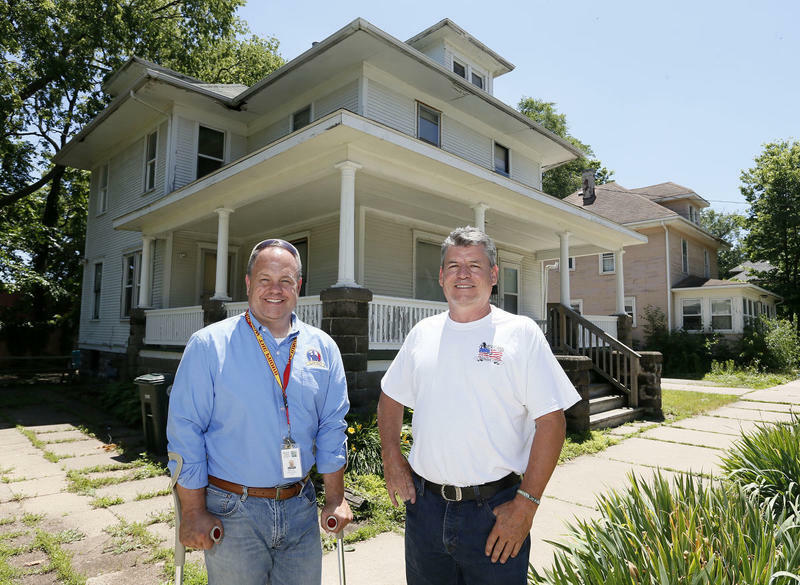 Wagner is a veteran and co-founder of the Veteran’s Freedom Center in Dubuque, a non-profit organization devoted to helping veterans who have fallen through the cracks of more traditional outreach programs. Al Rowell, also a co-founder of the center, says last year they saw more than 6,000 vets circle through their doors. The oldest was 95-years-old, and the youngest was in his early 20s. 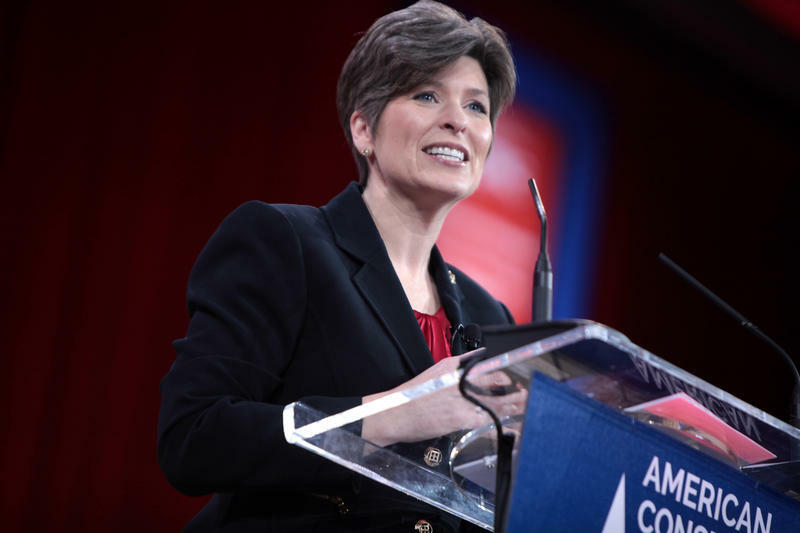 In her first speech on the Senate floor, Joni Ernst proposed the "Prioritizing Veterans' Access to Mental Health Care Act." It would allow veterans to immediately access mental health care from outside the VA if they have significant barriers to care through the agency. March is Traumatic Brain Injury (TBI) awareness month. TBI has been called a silent epidemic. 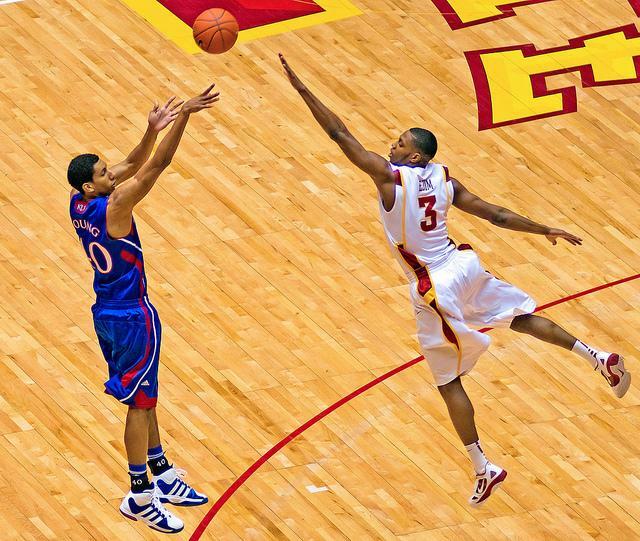 In many cases, resulting injuries are not visible to others, and it affects more than 95,000 Iowans. 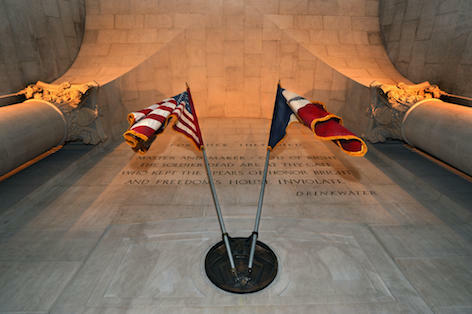 Iowa Veterans' Stories in Washington D.C.
For Veterans Day, join host Ben Kieffer as he travels to Washington D.C. with more than 80 Iowa veterans. Diane Rasmussen, who lives in Omaha, can't make impromptu trips to Arlington, Virginia, where her son Deric is buried. Now, if she wants to feel close to him, she can visit Gold Star Hall in ISU's Memorial Union. Governor Terry Branstad signed a bill in May designed to provide more benefits for Iowa's military veterans. At the same time, companies and communities have pledged to make Iowa veteran friendly by offering incentives to live and work here. It's hoped that those who have completed their service or have left the military as the result of downsizing by the Department of the Defense will find a new "home base" : Iowa. 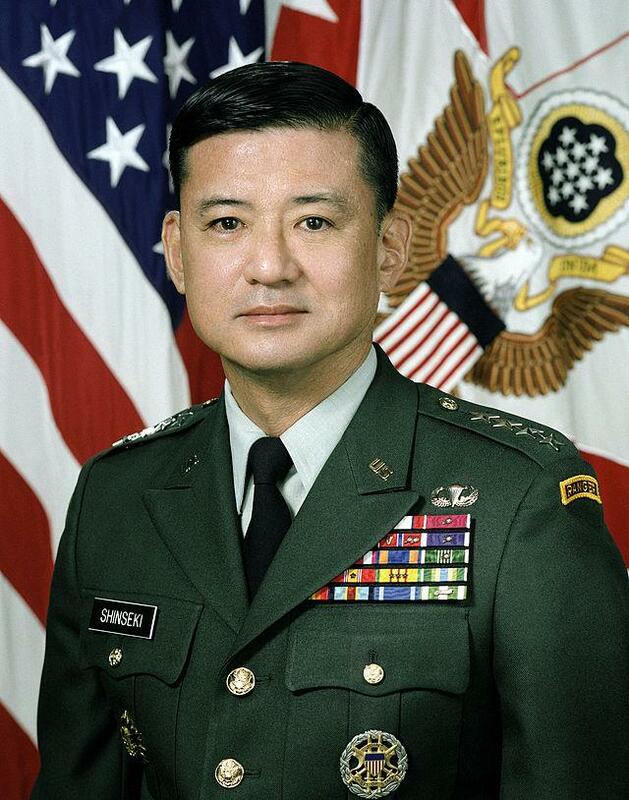 Secretary of Veterans Affairs Eric Shinseki has resigned his post in the wake of a series of scandals at Veterans Affairs hospitals across the country. During this News Buzz edition of River to River, Ben Kieffer talks with Des Moines Register Health Care Reporter Tony Leys about how the announcement could affect Iowa's VA hospitals. He also tells us about a possibly mismanaged case at the Iowa City VA.
Schilling lives in Palo, Iowa and attended a White House ceremony earlier this week where his friend and was awarded the United States Military’s highest honor, the Medal of Honor. He talks with host Ben Kieffer about an ambush in Afghanistan in 2007 by Taliban forces when White saved his life and the lives of several others in their unit. Serving in the military changes one's perspective on life, but often it also alters the way they face death. Ben Kieffer speaks with Deborah Grassman, the CEO and co-founder of Opus Peace. 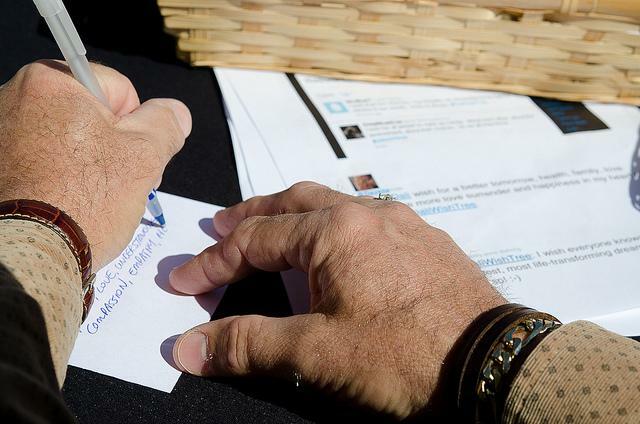 Opus Peace is a nonprofit organization whose mission is to help people work through trauma. Prior to Opus Peace, Grassman worked as a nurse practitioner for three decades at the Department of Veterans Affairs. She was also the director of the VA's hospice program and personally took care of over 10,000 dying veterans. The state cost per student in Iowa’s K-12 public schools is over six thousand dollars per year - increasing steadily over the past couple decades. The Iowa legislature is supposed to set the amount of state aid for K-12 school budgets more than a year in advance. 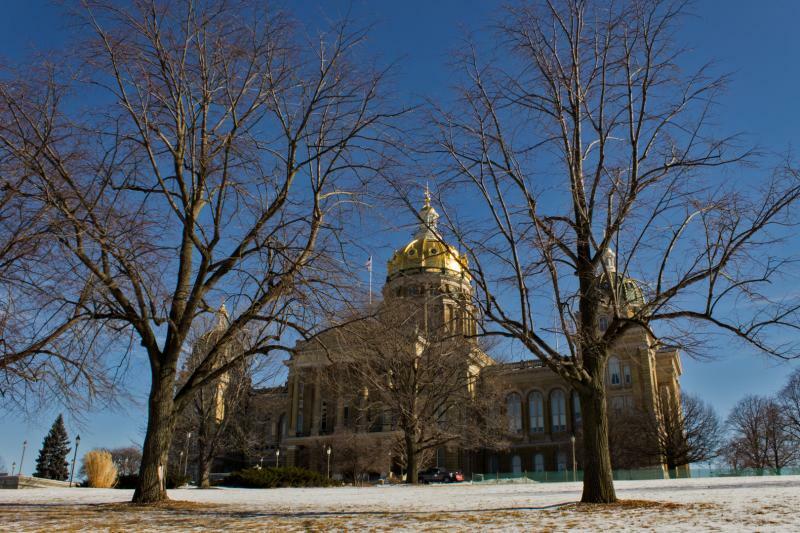 Schools say they need the budget in advance so they can plan teacher salaries, but republican law makers are hesitant to plan the budget too far ahead. For Veterans Day, join host Ben Kieffer as he travels to Washington D.C. with more than 80 Iowa veterans. 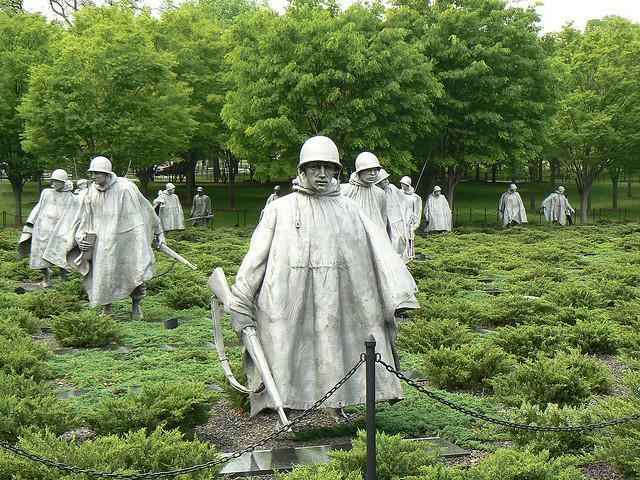 The Eastern Iowa Honor Flight sent veterans of World War Two and the Korean War to the nation's capital to visit memorials and to get a tour of the city. Hear ceremonies, sounds, and stories—emotional and lighthearted. 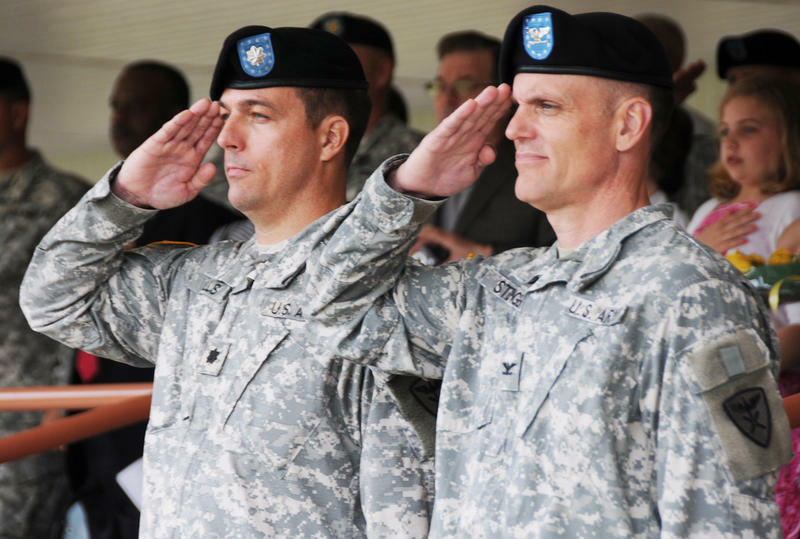 In war or in peace, thousands of Iowans have served in the armed forces. With both archival audio and original interviews, "In Uniform" honors and remembers Iowa veterans who sacrificed and served the country since the Civil War all the way up to the War on Terror. 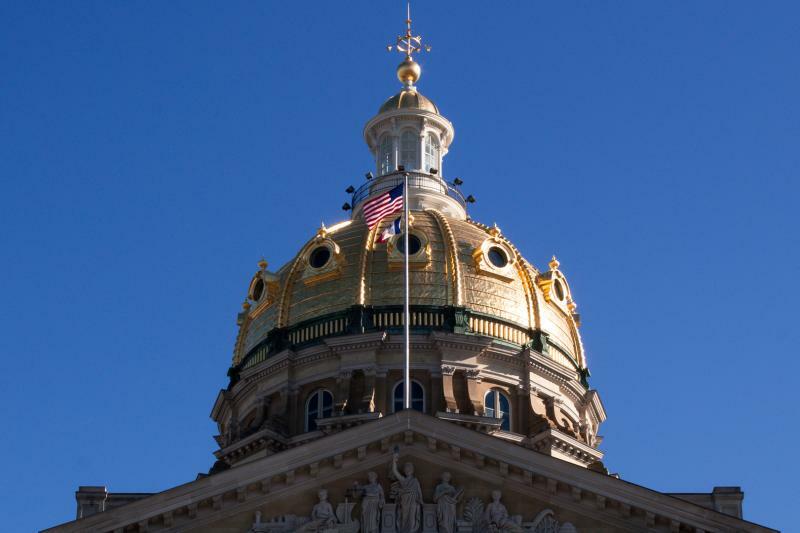 From the notable case of the Sullivan brothers in World War II, to the lesser known but significant involvement in the Civil War, Iowans have a long history of fighting for their country. Today on River To River, we close “Iowa Week” with an account of Iowa’s military history, from the Civil War, to current-day conflicts. Nationally, unemployment rates for veterans are in decline, but the highest rates of joblessness are suffered by soldiers most recently returned from deployment. 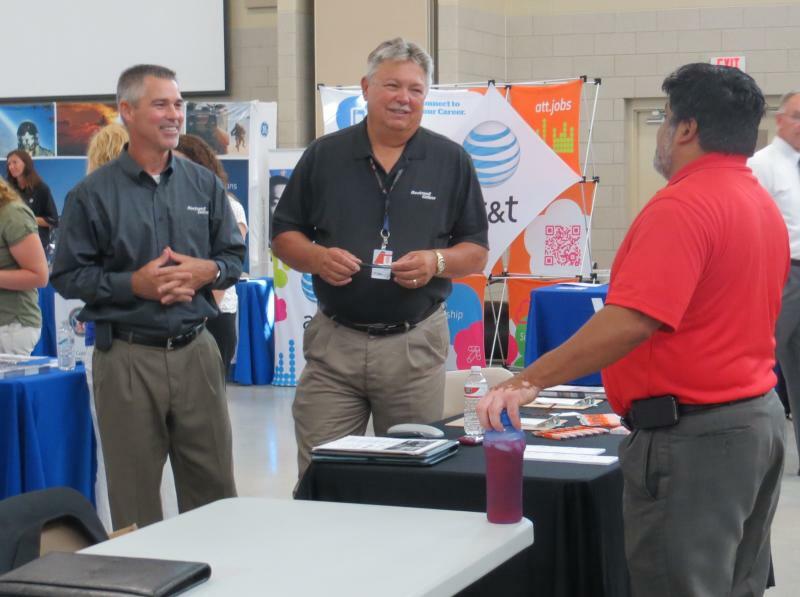 Back home, finding a job can be a challenge--whether it be finding the right words for a resume, or getting re-certified for the civilian equivalent of a military job. Studies estimate that at least one in every five veterans experiences post-traumatic stress disorder after returning home from Iraq and Afghanistan. 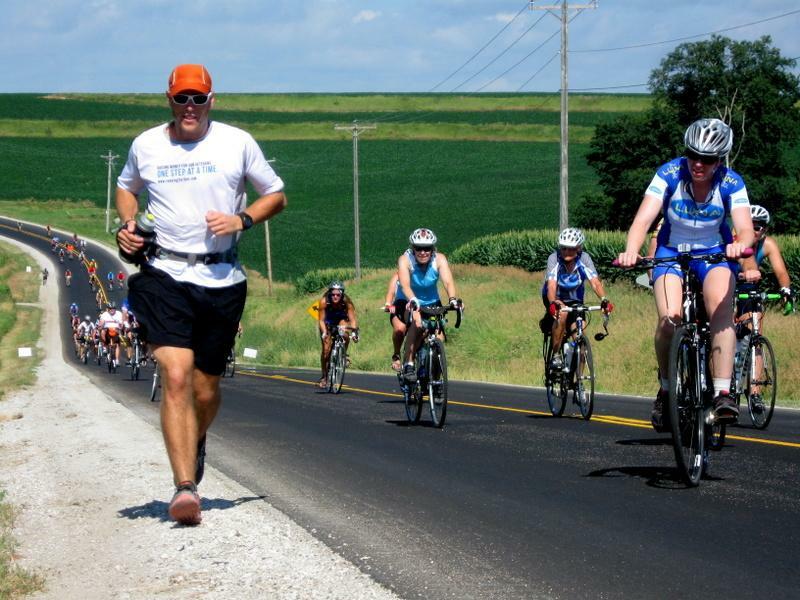 Today, guest host Emily Woodbury talks with two Iowans working to change that statistic. Steven Lancaster, an assistant professor of psychology at Drake University, discusses his new study on how a soldier's "military identity" affects their likelihood of experiencing anxiety or depression. Marine Sgt. Ross Gundlach and a military service dog, a golden lab named Casey, faced more than 150 missions together in Afghanistan, sweeping roads for bombs in the south Helmand Province. 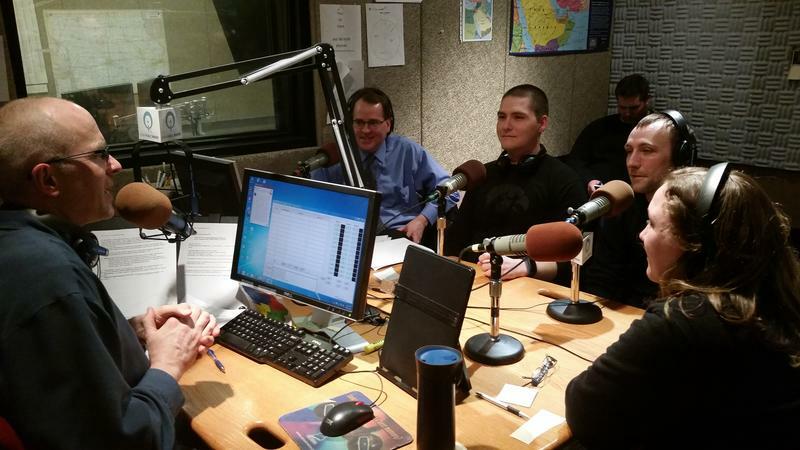 Today on River To River, host Ben Kieffer talks with Sgt. Gundlach about his experience and reunification with Casey in Iowa earlier this month. 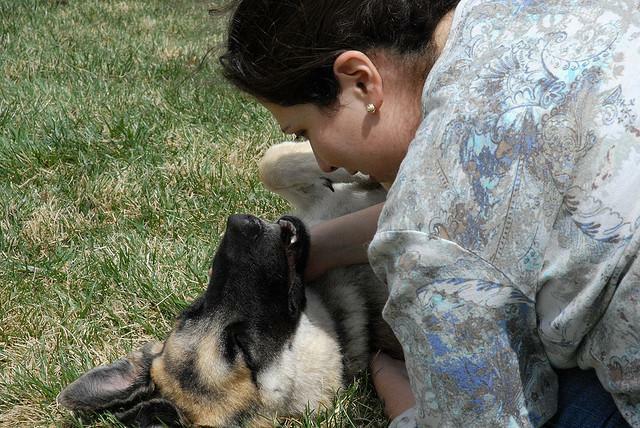 Also, anthropologist Matt Hill of the University of Iowa, on what makes our relationship with dogs so unique. Host Charity Nebbe explores art created by veterans in their post-military lives. We hear examples of poetry from Hugh Martin, winner of The Iowa Review's Jeff Sharlet Memorial Award for Veterans. Also, we hear journalism and creative non-fiction from Randy Brown. And the music and military reflections of Lem Genovese. At least one state senator is calling for the person in charge of the Iowa Veterans Home in Marshalltown to step down so a more thorough investigation can be conducted. This follows repeated complaints over management of the Veterans home. The Senate Veterans Affairs committee held a meeting Monday to hear testimony. 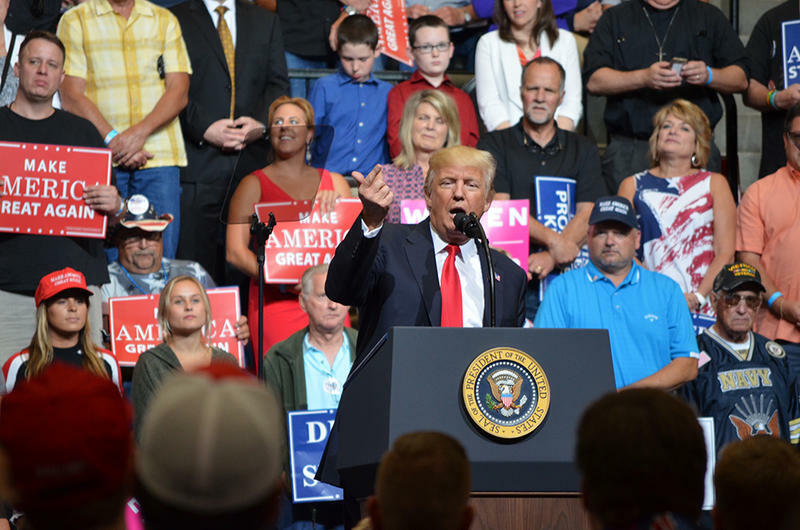 Iowa Public Radio’s Clay Masters reports.